Delta Prescription Clinic - Delta Prescription Clinic: Delta Pharmacy serving Vancouver Lower Mainland, Delta, and Surrey. Our mission is to provide the finest possible personalized pharmaceutical and health care services. Our team is always willing to go the extra mile for our patients; treating them just as we would our own family. At Delta Prescriptions, there is always someone available to ensure that you understand your medications, what is needed and what options are available to you or your loved ones. 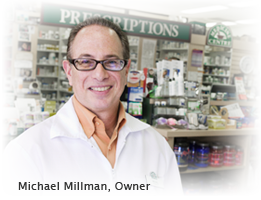 We're meeting the changing role of today's pharmacies. Visit our pharmacy or call us today!